Can’t Afford an Overseas Adventure? Make the Most Out of Winter Anyway! Those who know me know that I have done my fair share of travelling around the world kiting. These days however, with a steady job and a girlfriend, I don’t get to gallivant around looking for wind like I used to. Am I still obsessed with getting on the water every chance I get? You’re damn right. Look, we all wish that we could spend the winter months splashing around in the warm waters and seemingly endless amounts of wind in Brazil or Mauritius, but most can’t. It’s expensive – both in terms of money and time – and even if we could afford it, most of us have work and family responsibilities that mean time off is limited and precious. Don’t fear though! There are still ways you can enjoy your winter months without breaking the bank (or your relationships!). I find that during winter, I often have to make the sacrifice of waking up early to get my sessions in. With the days getting shorter, both sea breezes and after-work kiting are pretty much done. Check the forecast and see if you can get out early AM. This is very hit and miss but can be super fun so give it a try – even if you aren’t usually an early riser. Pro tip: Keep in mind that, for some reason, the sunrise can really mess up the wind. I always keep a surfboard in the car in case it’s glassy and there are some waves around. Worst case – keep some running shoes in there too and go for an early morning jog or workout. Just because you can’t go overseas doesn’t mean you can’t go … somewhere. It could be that if you’re time limited you need to go somewhere within the country. An impromptu weekend getaway with some friends to chase a forecast up or down the coast is always a good time. Book an Airbnb and grab a few cases of your favourite brew. Either you’re kiting or you’re drinking cold ones with some good friends. Talk about win/win! Another idea for the domestic getaway is to find somewhere like the Australian Kite Surfari. Generally, it’s time consuming travelling overseas. This limits your water time if you don’t have at least a couple of weeks to spend there. If you only have one week off, I find if you can keep it domestic you’ll enjoy your time much more. On both sides of Australia there are great options for quick getaways to the tropics. East Coasters can hit the Kite Surfari, and if you’re in the West get yourself up to Exmouth. If you’re on a budget, hit Port Douglas or Cairns! Pro tip: Do heaps of chores before asking for The Pass! Winter equals storms, heavy winds and big swells. This means that the days of cruising around in flat water with steady winds and sun are temporarily over (for the most part). As much as I desperately want to progress my freestyle when I actually get the chance to ride in the winter, the reality is that the quality of wind goes down drastically. This means higher chance of injury with less consistent water time and conditions. There’s no better time of year to get on to a surfboard. With the winter swells around, you’ll find beautiful waves to destroy and a new skill to master! The buoyancy of a surfboard will offer you a surprising amount of forgiveness in the variable conditions of the winter months. If the wind doesn’t show up, just go for a paddle. There is no better way to improve your strapless surfing skills than actually surfing. Crazy, I know! Since moving to Sydney three years ago, I’ve spent the majority of my time off in the winter months at the cable in Penrith. 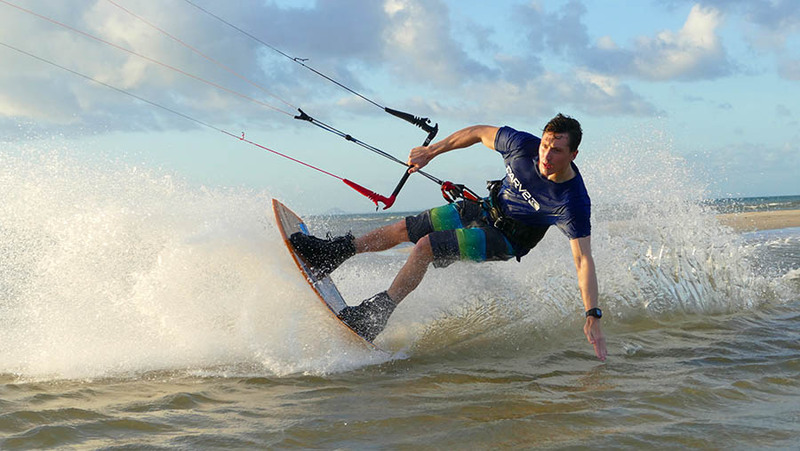 The crossover from cable riding to kiting is immense, and you can teach yourself a lot of valuable skills regardless of your level. The great thing about the cable park is that the conditions are almost exactly the same each and every lap. This takes a lot of the guesswork out and you can focus on your board skills. I know so many kiters that drastically improved their edging and general kiting skills from riding at the cable. Both Cables Wake Park in Penrith and Bli Bli Wake Park on the Sunshine Coast offer very cheap winter ride passes. 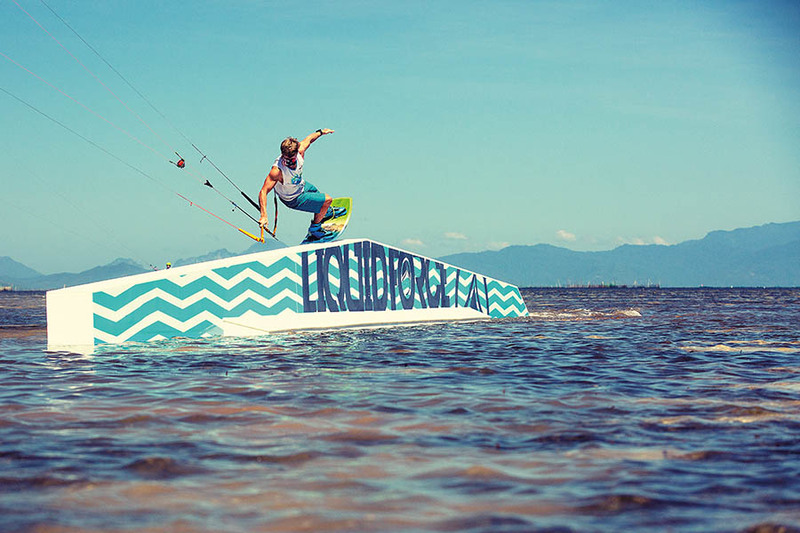 This is an affordable way to improve your kiting. Pro tip: Organise a cable day for you and some friends. Rent the entire lake with your mates for heaps of laughs and progression. Another amazing winter option is to go snow kiting. Although it’s not as accessible in Australia as it is in my homeland Canada, snow kiting is an insane amount of fun and is actually quite affordable for kiters. You can wear your normal harness and use your normal kite, all you need to do is grab yourself a snowboard or skis. Snow kiting is great as you don’t need the same amount of wind that you do to kite on water, as there is a lot less friction and not as much lift is needed. Exploring the snow-swept mountain tops is exhilarating and ridiculously fun. 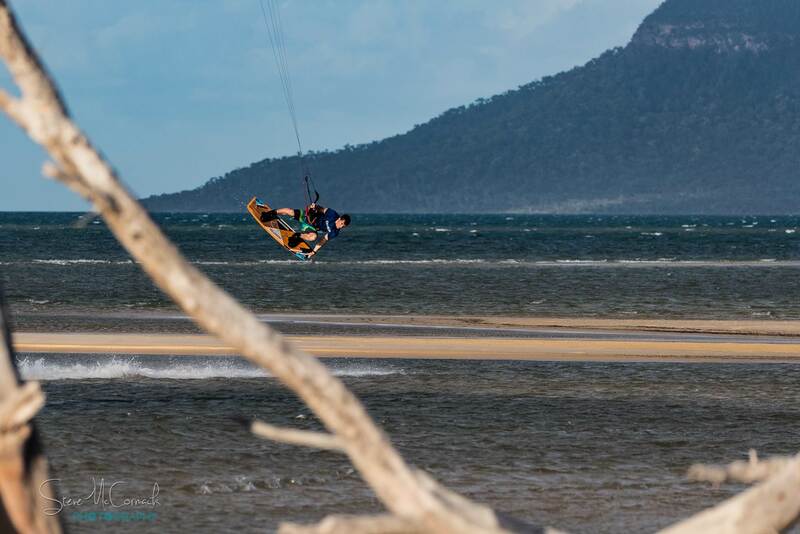 Many of the same manoeuvres that can be performed on the water can be done whilst snow kiting, so this is a perfect place to continue progressing your kite and board skills. Pro tip: Join a Facebook group like “Kosi Kiters” and make sure to do your snow trip with some people that know what they’re doing the first few times. Going into the backcountry can be dangerous and you need to know how to do it safely.